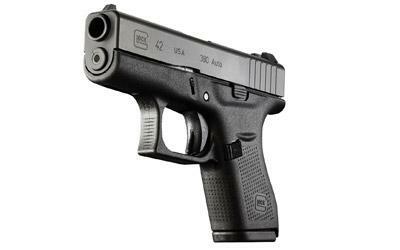 The G42 is the smallest Glock pistol ever introduced, making it ideal for pocket carry and other deep concealment carry methods. The slim design of the G42 fits the hands of any shooter; specifically it gives women or those with smaller hands a comfortable option like they've never seen before. Glock's smallest pistol uses the same Safe Action System found in all Glock pistols, is backed by more than 25 years of engineering excellence.